The problem is that queue injection should only be happens in case of successful transaction. Tagged with AOP, drools spring, java, JMS, messaging. Tagged with security, spam block, WP plugin. We have a method ‘transfer’ in Account service transferd money from one customer account to another acount of same customer. First, we validate that from account has enough amount of money. And at the end we send notification using asyncronus queue email service. Tagged with AOP, drools, drools spring, spring. For example: you already have a buisness method that should be extended by adding new functionality. As example we need to change other objects and send different notifications (emails). For this purpose I use next class. Tagged with drools, drools spring, spring. Drools is a business rule management system (BRMS). It based on rules engine, using an implementation of the Rete algorithm. More about Drools is here. A business process or workflow describes the order in which a series of steps need to be executed, using a flow chart. This makes it much easier to describe a complex composition of various tasks. Processes are especially useful in describing state-based, long-running processes. 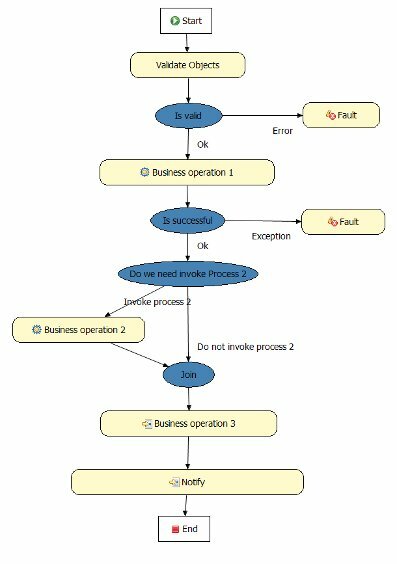 Drools Flow allows end users to specify, execute and monitor (a part of) their business logic using these processes. The Drools Flow process framework is easily embeddable into any Java application (as a simple Java component) or can run standalone in a server environment. This article is about practical implementation of rule flow with Spring. 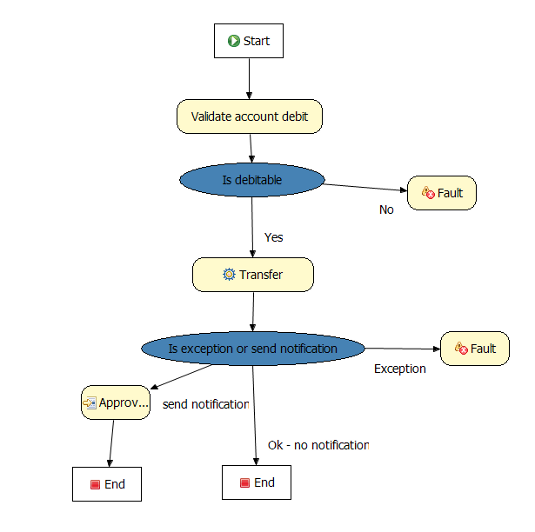 In my case flow include validation step at beginning that validates objects, then executes several tasks. Execution of task depends on rules define in flow descriptor. Flow itself defined in flow file (.rf). Before flow could execute we need to perform certain action as create session, load flow and validation (.drl) files, setup globals and work items for flow. To simplify controls and manage this action I create integration classes. Powered by WordPress. Based on Carrington.